It was 4:30 pm when I stepped onto the ruins. The sun was beginning to set on this winter afternoon, casting a light orange glow over the remnants of a once thriving community. Bright green moss covered the red sandstone structures, adding a slippery touch to it. I watched my steps while admiring the Spanish-styled architecture embellished with native Guarani influences. There were not many people: I counted fewer than 10. 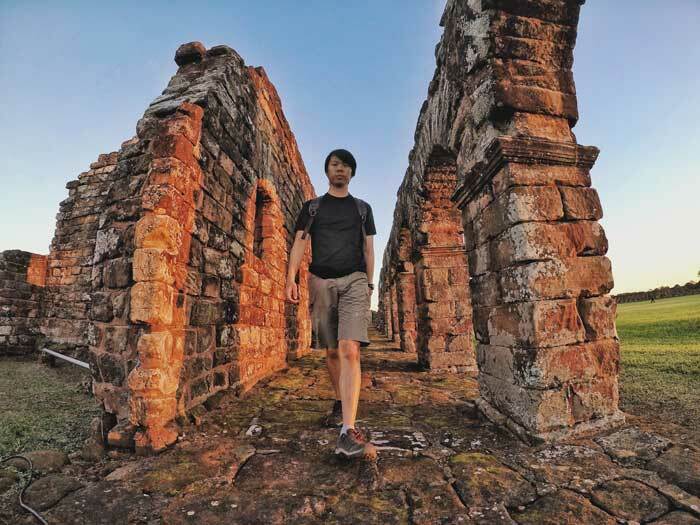 Yet, these ruins were declared UNESCO World Heritage Status back in 1993; a title that usually comes with a horde of visitors. Not so with these ruins. 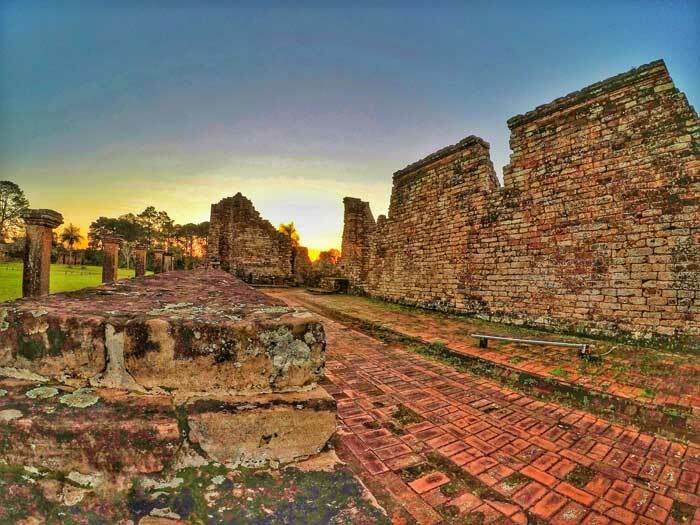 There was a rumour that this site - the Trinidad Ruins and its sister site the Jesús Ruins - is the least visited UNESCO site in the world. Is it true? Probably not, as there are remote islands that carry the UNESCO title too. It doesn’t matter. All good for me. 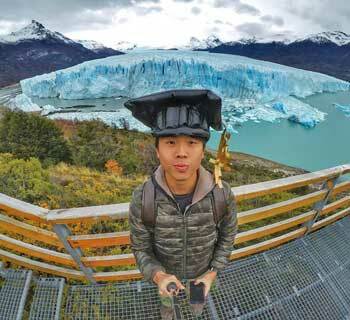 I needn’t share the site with crowds of camera trigger-happy tourists. The light was soft and tinged with a slightest shade of purple as I slowly wandered in the ruins. 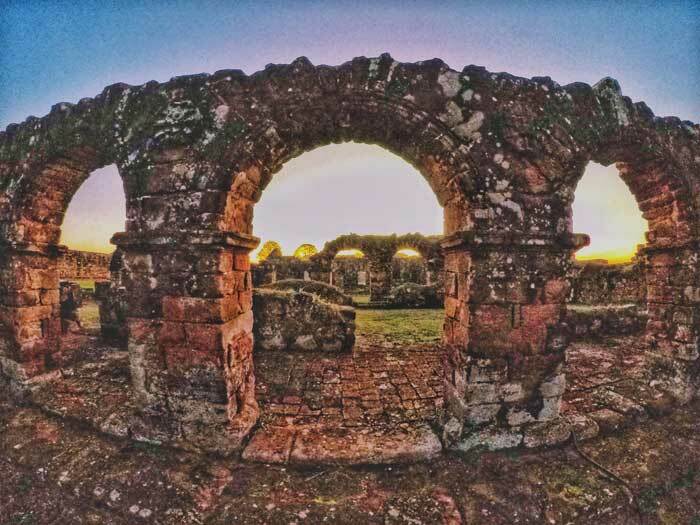 Officially called the Jesuit Missions of La Santísima Trinidad de Paraná, it is located in the small town of Trinidad in the south of Paraguay, 30 km from the border city of Encarnacion. It was a hectic day for me as I made my way from the town of San Ignacio in Argentina to Posadas, then crossed the border (local style I might add) to Encarnacion. As it turned out, you can board any bus going towards Buena Vista, Santa Rita and Ciudad del Este. They all pass by Trinidad. Passengers who bought tickets to these cities have seat priorities. The locals crowd at the door, waiting to fill up any remaining seat. 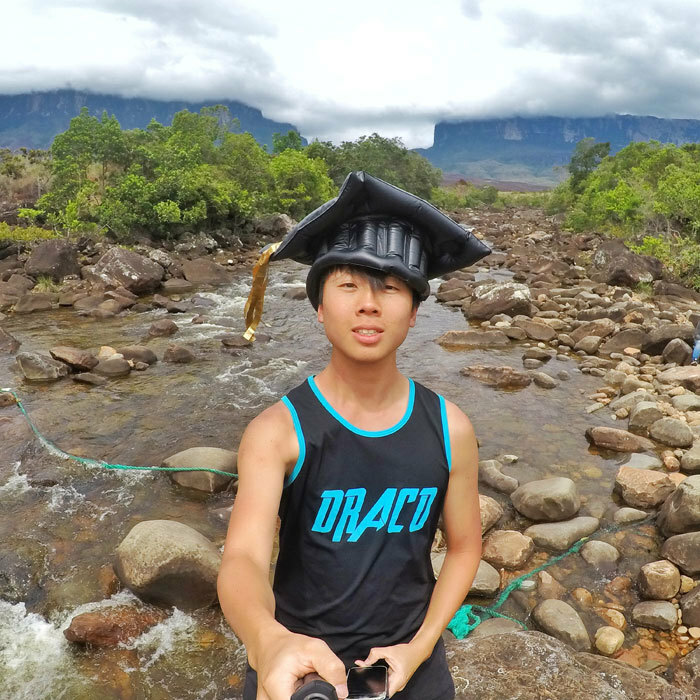 I got a ticket for PGY $10000 / USD $1.80 (June 2017). From Encarnacion, it is a 40 minutes’ ride while the bus picks up passengers along the way. Locals usually do NOT stop at Trinidad so if you’re like me visiting in the ‘off-season’, either tell the driver to let you know when you arrive or look at your GPS. I would’ve missed the stop if it wasn’t for maps.me. Enter the town, walk left along the cobblestone road for 10 min and arrive at the ticket office. The ticket to the ruins costs PGY $25000 (USD $4.50) and includes entry to the nearby Jesús and San Cosme ruins. There is a nightly light and sound show at 7pm FREE (unlike San Ignacio). I gave it a miss as I didn’t want to wait for 2.5 hours and get back too late alone. To return to Encarnacion, board any bus that passes by the run-down bus stop opposite Trinidad. Most buses are heading to Encarnacion. 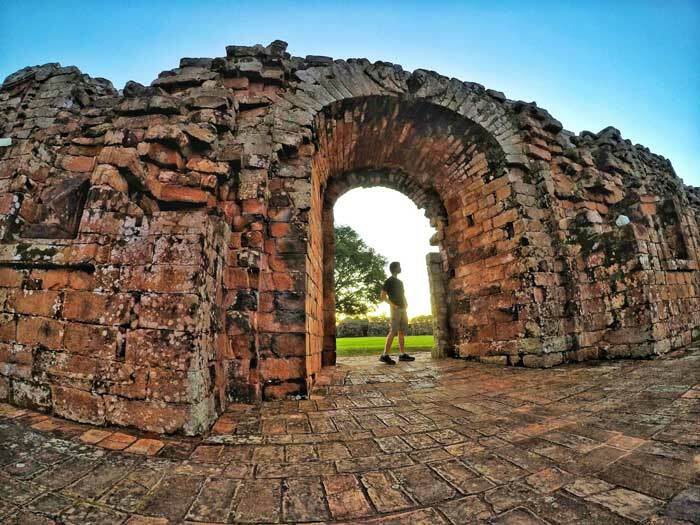 Similar to the San Ignacio ruins, this complex was built by the European Jesuits when they came to spread the faith and to convert the native Guarani people. Besides religious teachings, the Jesuits contributed to the native way of life in education, agriculture and social organization. Unlike other colonists, the Jesuits did not supress the native culture but embraced it. In fact, they even helped create a writing structure for the Guarani language (as they did not write). They also protected the native people from the ongoing war and slave traders. 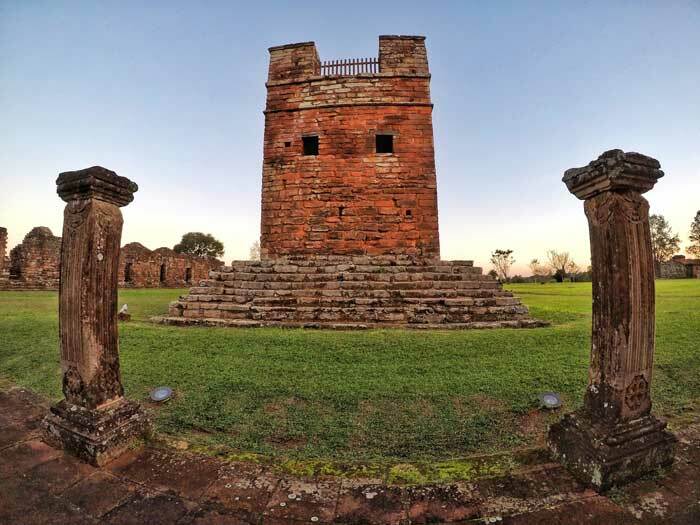 The Jesuits played a huge role in the development of modern day Paraguay. I wandered around the ruins, into the crypt but missed ascending the bell tower. With a little imagination, it felt as if I went back in time. The Jesuits built a self-sufficient town, or reduction, which included a main plaza, a workshop, a cemetery, the priests’ quarters, and even a place for ‘widows who had no relatives, orphans, elder women, some single women, and adulteresses’. But the highlight of the town is of course the huge imposing church that dominates the area. It is the biggest among all the Jesuits Missions. A stone altar, with engravings by the natives, stood in the middle. 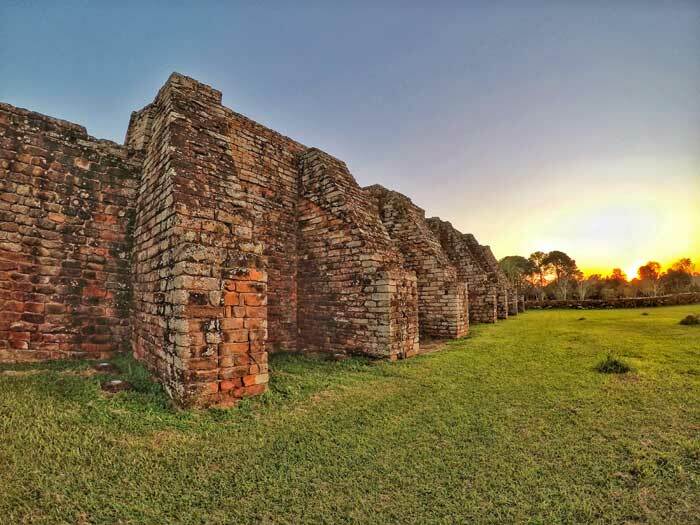 Like all Jesuit Missions in the area in Paraguay, Argentina and Brazil, the reduction was abandoned when the Spanish Crown expelled the Jesuits in 1767, when they amassed ‘too much influence’. Ironically, the Society of Jesus is now the largest single religious order of priests and brothers in the Catholic Church, with Pope Francis one of them. Left to the unforgiving elements, roofs were torn and buildings were destroyed. 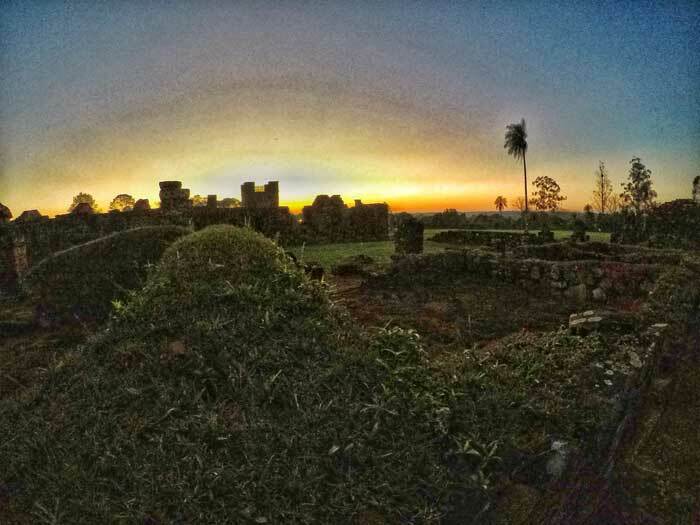 Nevertheless, the red, orange and brown of the dilapidated buildings against the green of the surrounding forests, backed by the orangey-purple glow of the sunset provide a photogenic aura to this heritage site. There are no tour groups, no tour guides, no information signs and no audio stands. But there are also no eyesore souvenir stands and tour buses lining up outside the site. 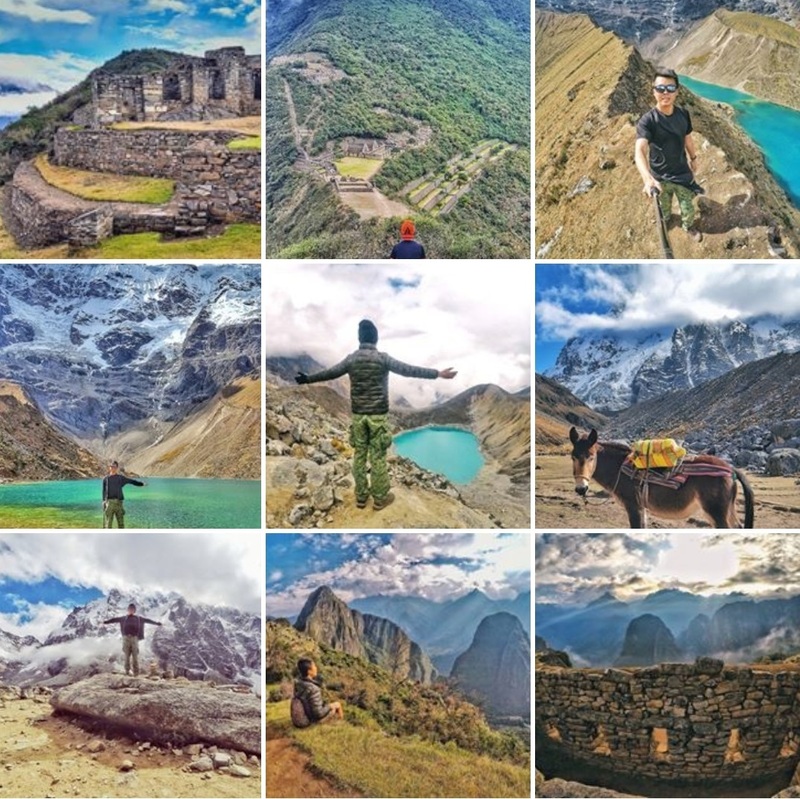 This is one historically-rich and architecturally-pleasing site you can explore in peace. I wished I read up more about these ruins before heading there. It’d have been a much more immersive experience. When night comes, the area lights up selectively, presenting a spectacular and somewhat hauntingly sight. 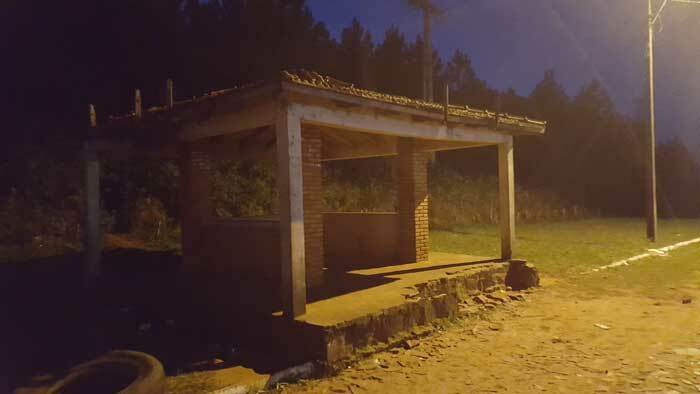 The sister ruins of Jesús de Tavarangue is 12km away. There is a bus waiting farther along the highway from where you dropped off, or if you’re lucky, a moto-taxi will be awaiting near the ticket office at Trinidad. I wasn’t lucky. My Couchsurfing host told me “it is just a church” there. But, it was a symbolic church that was never completed. Had it been, it would’ve been the largest church in the area. 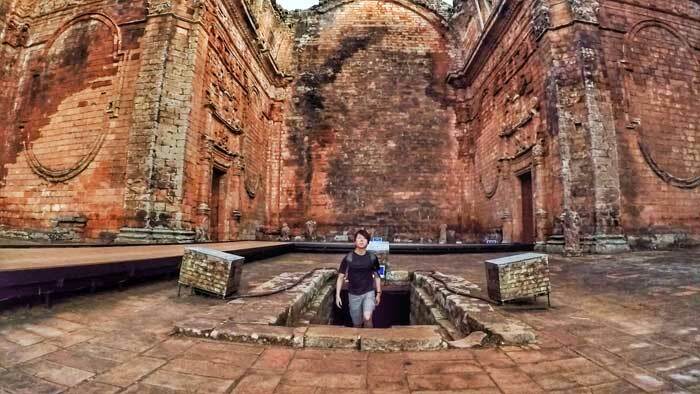 Nevertheless, having visited Paraguay’s only UNESO site and the largest of all the missions, I had a satisfied and eventful first day in Paraguay.